I know I say everything grilled is my favorite, but burgers have to be at the pinnacle of my ultimate barbecue comfort food. Burgers are great to grill, whether you are grilling for one or for a crowd, because the flavor and taste are a piece of barbecue heaven. No matter what the toppings—ketchup, onion, bacon, mustard, lettuce, or tomato—burgers easily provide you with your own personal meal of barbecue brilliance. However, there are some ways to take your current burger to another level prior to even putting on a topping. Try different meat combinations. My tried and true “go to” meat mixture is 40% ground chuck, 40% ground brisket, and 20% raw bacon. Incorporate spices. Never forget to add some salt, pepper, granulated garlic, or whatever other seasonings you enjoy to your meat before you put it on the grill. 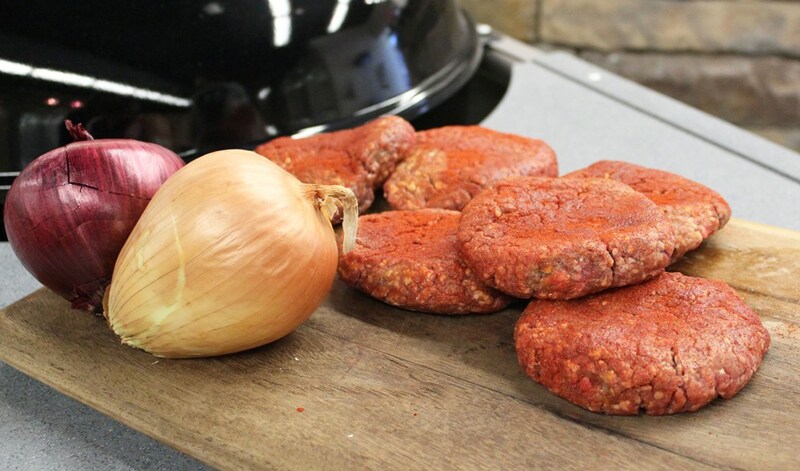 The caramelization of the spices and your meat are guaranteed to add a boost to the flavor of your burger. Don’t be afraid to mix your favorite toppings into your burger meat. Adding some fresh diced onion, garlic, or jalapenos can really bring out some great flavor with each bite. If you’re feeling really adventurous, trying making a stuffed burger. You can easily do this by taking two small burger patties, adding your favorite cheese in the middle, combining them, and then grilling. It’s as easy as that, and I’m confident that you will enjoy a stuffed burger just as much as I do!